From the 1st Vice President – 10-14 | F.F.A.M. Hope this finds everyone well. I have enjoyed the last couple of weeks traveling across the state watching the transition from summer to fall. It is apparent to me as I get older, how present I find myself in these types of moments. The old saying “stop and smell the roses” comes to mind. I have not been good at this in the past, but I am working on it. I challenge each one of you to slow down and enjoy the fall colors and family time the next couple of months. 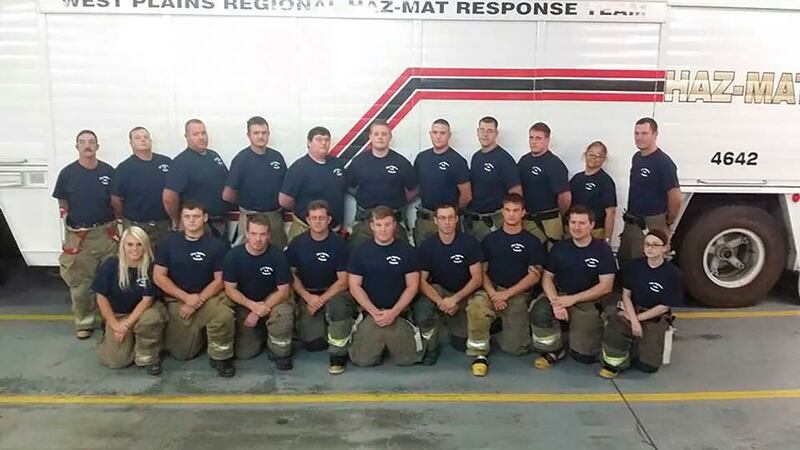 Below is a picture of the 2014-15 Firefighter I-II class that is presently in session at the West Plains Fire Department. These men and women started their class in September, and plans are for the class to finish in February. The students attend two nights a week and every other Saturday. We have students from Mansfield, Lanton, Howell Rural, Willow Springs, and West Plains fire departments. This group of firefighters shows great potential and enthusiasm. As fire chief, this is exciting. Keep up the good work ladies and gentleman; I am very proud of your commitment and dedication to becoming state certified firefighters.